Soil scientists on the impact of organic matter on soil health. Once a mere footnote on a soil test report, a field’s organic matter level has become a major focus these days. The skyrocketing interest in soil health has brought to light the value of soil organic matter and spurred many farmers on a crusade to boost their levels. With little long-term research to help size-up this challenge, farmers are looking to the experience of others to guide their efforts. Adding to soil organic matter levels is particularly appealing with today’s tight profit margins. 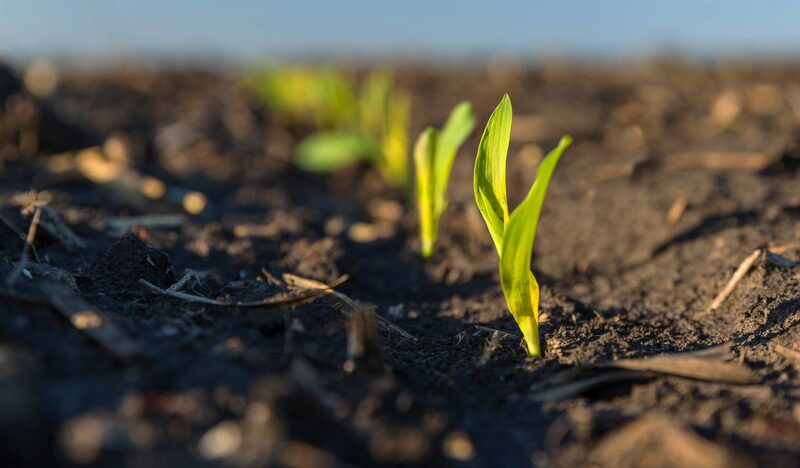 Adding one point to the level adds more than $650 per acre of crop nutrients to be slowly dispensed to growing crops and replacing purchased inputs. And, it will also add 27,000 gallons to the soil’s water holding capacity to ward off drought stress. However, though these benefits may look like freebies, the fact is they don’t come easy. Soil health advocates agree that no-till and diverse crop rotations are key to building organic matter levels in the soil. How fast levels can be increased depends on a host of soil type and environmental factors, but also hinges on how heavily a grower buys into those two farming practices. Ward Soil Testing’s Ray Ward says adding wheat to a corn/soybean rotation is a step in the right direction, but only a small one—he estimates this change would take 20 years to increase organic matter levels by one point. On the other end of the scale, North Dakota NRCS soil health specialist Jay Fuhrer has seen levels improve that much in a single year. That startling result was achieved with back-to=back cool and warm-season cover crops on a depleted soil on Burleigh County’s Menoken demonstration farm. The benefits to such a dramatic improvement are enough for nearby soil health advocate Gabe Brown to consider going a year without cropping poorer ground to go ‘all in’ on improving soil organic matter levels. Building organic matter levels is generally easier in cooler, wetter environments. In Ohio, farmer Dave Brandt says he’s seen levels jump .75 points a year under a multispecies cover crop rotation. Ohio State agronomist Jim Hoorman says many producers he’s working with are seeing levels increase one-half point annually under a similar strategy. Nebraska farmer and NRCS specialist Dan Gillespie has documented changes on his farm over a 24-year history of no-till and cover cropping. Until 2005, he saw levels increase one-tenth of a point annually under a no-till corn/soybean rotation. Since introducing cover crops following soybeans in that rotation in 2005, soil organic matter levels have been increasing at twice that rate, or two-tenths of a point per year. Longterm research is underway by several universities and other providers and results are only now beginning to filter out. After four years, initial results from a study by the University of Nebraska indicates building soil organic matter levels—and the value to be reaped from it—may be slower and less dramatic than some farmers report. Time will tell, but meanwhile it is time to pay more attention to this often overlooked number on soil test reports.